These presentation slides 25232 are complete compatible with Google Slides. Simple download PPTX and open the template in Google Slides. 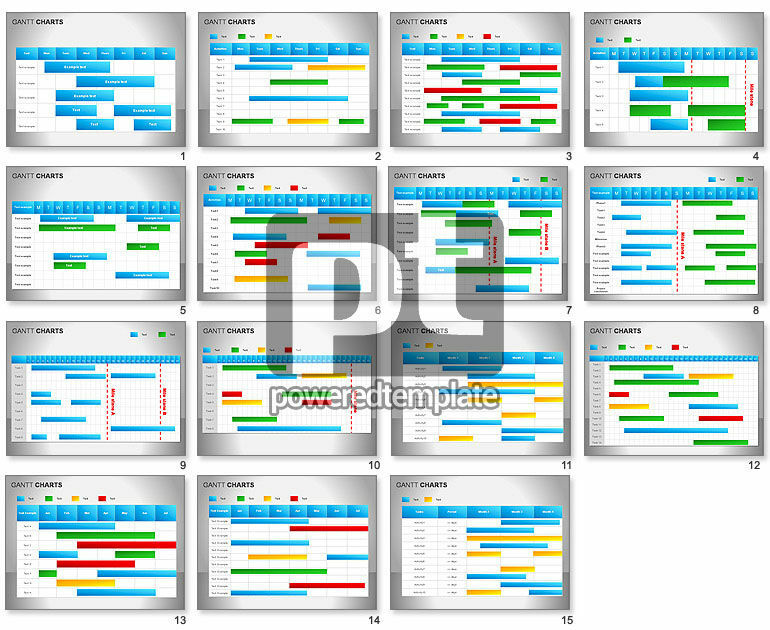 Great collection of Gantt charts for your project timelines, project schedules, project reviews and planning, annual reports and year planning, etc.